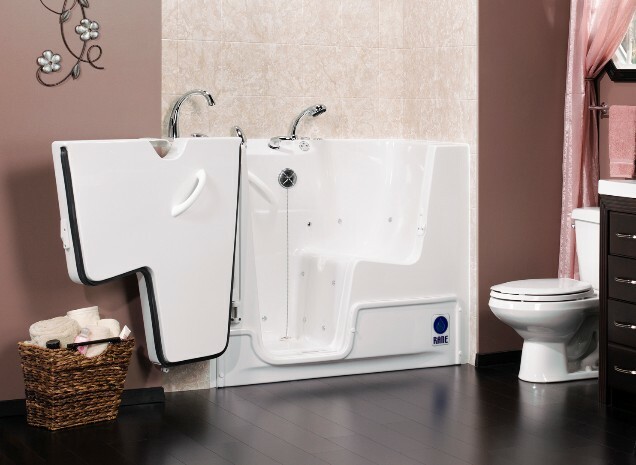 A walk in bathtub can be a wise investment for those in the Des Moines, Iowa, area who have physical limitations that make it difficult to enter and exit a traditional bathtub. Walk-in tubs are great solutions for people who have balance issues, trouble standing, and other mobility challenges. For the very best walk in bathtubs and expert installation, turn to the specialists at U.S. Patio Systems and Home Remodeling. We have spent years helping people transform their living spaces into rooms that perfectly suit their needs. These transformations include installing top-of-the-line walk in bathtubs from the popular supplier, Safe Step Walk-In Tub Co. In addition to excellent safety features, our tubs also include features that can provide hydrotherapy. With heated seats and water jet therapy, you’ll feel like you are at a spa while being in the comfort of your very own home. Plus, since our bathtubs are manufactured to fit in traditional tub spaces, they can replace nearly any existing tub in your home. To learn more about adding a walk in bathtub to your home in the Des Moines, Iowa, area, contact U.S. Patio Systems and Home Remodeling today. Our team of specialists are available to answer any questions that you might have.